Data Acquisition is a process of acquiring analogue signals from one or more transducers and converting the sampled signals into digital numeric values which can be manipulated by a computer. Therefore, transducers sensing physical phenomena convert parameters to raw electrical signals, while signal conditioning circuitry improves the linearity of the raw signals so that they can be accurately converted to digital values. An Analogue-to-Digital converter (ADC) formats the sampled signals into digital values to enable computer reading, software analysis and network communications. 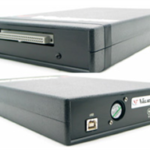 The analogue-to-digital converter is considered as the key device of a Data Acquisition System (DAS or DAQ). 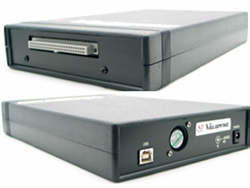 A Data Logger is a data acquisition system that doesn’t rely on a computer for the initial storage of data, and can range from 1 or 2 channels to complex multi-channel instruments. 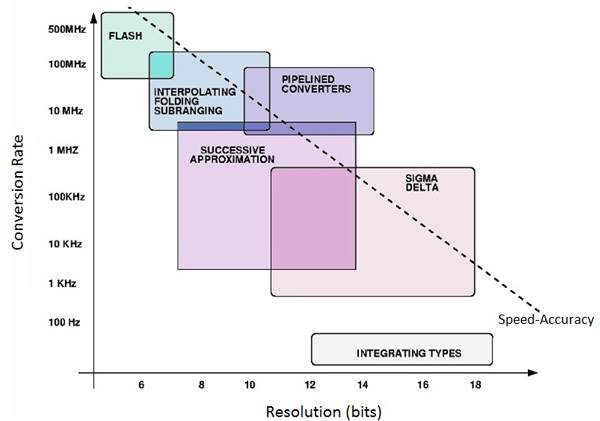 There are a few types of ADC and which one to choose depends on required speed resolution. Delta-sigma (ΔΣ) modulation is a method for encoding analog signals into digital signals. The conversion is done via close loop error feedback, where the difference between the two signals is measured and used to improve the conversion. Both ADCs and DACs can employ delta-sigma modulation. A delta-sigma ADC first encodes an analog signal using delta-sigma modulation and then applies a digital filter to form a higher-resolution digital output. Please complete the enquiry form below for specific information and advice on Analogue & Digital.